People are the heartbeat of your business. Yet despite the influx of technology, organizations are finding it harder to understand, motivate, and fully connect with their people. PDP’s proven management system allows you to transform your corporate culture in a way that people truly understand - reducing conflicts and improving communication. PDP is a world leader in workforce research and development. Optimize the professional growth of employees and amplify your effectiveness and profitability with the PDP management system. Measures and defines the team culture. Strengthens team member understanding and appreciation. 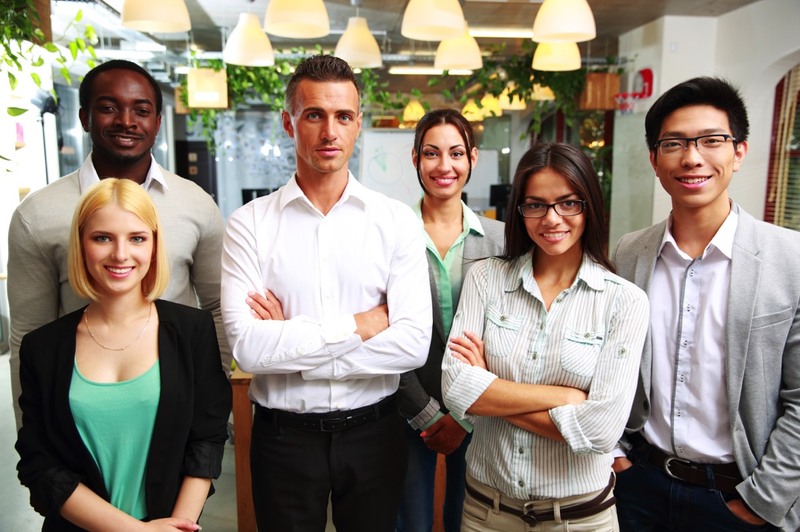 Creating Effective Teams and Work Groups: A successful work group maximizes the skills and interests of its participants by creating a balance within the team. TeamScan provides objective measurements and narrative reporting of group characteristics. One level of reporting is a collective, general view of the group, revealing trends of strengths, pressures (stress) and satisfaction indices. 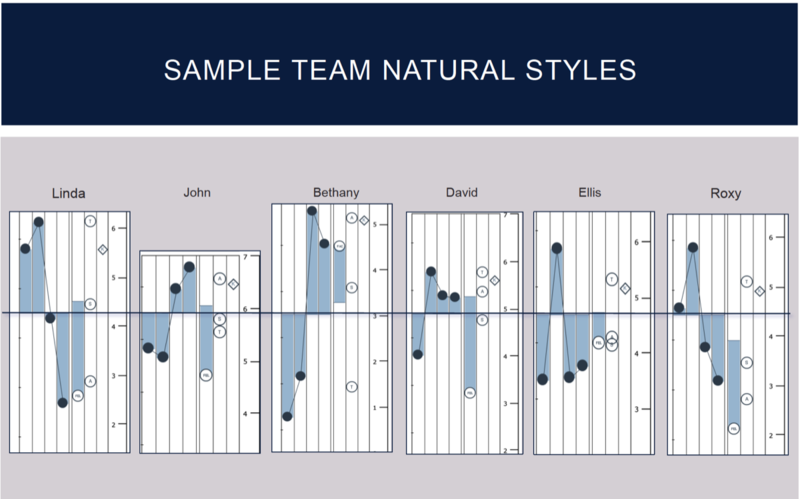 The next level of reporting allows for further analysis by zeroing in on each team member’s specific strengths and styles. TeamScan helps organizations build understanding of each member in the group and set expectations for team performance, developing effective teams that work! Resolving Interpersonal Conflicts: Interpersonal conflicts, when not resolved, can lead to ineffective departments and poor teamwork. Our team works with your company's executives to assess, identify, and develop strategies to resolve challenges and conflicts. How can you make sure you are building a synergistic team? 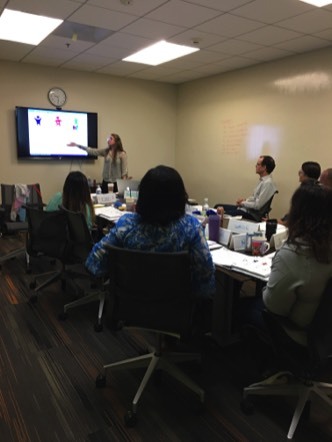 One way to help guide the selection process is by using a personality styles assessment tool that will create a baseline for understanding each individual’s communication, leadership, task orientation and decision making styles. For example, in a demanding sales environment, you can increase success by looking for high extroverts who are energized by personal interaction and are very adaptable. They need to be self-motivators who can think on their feet and close the deal. Some assessments, like the ProScan® Personality Styles Survey, also provide insight in what is currently causing energy drain or stress, which will reduce satisfaction and detract from their performance. What are the signs your leadership team isn’t gelling? Every personality is valuable and dynamic; and self-awareness is the first step in self-management. For example: If you hire a control-oriented, reserved communicator to lead a collaborative team that is accustomed to brainstorming, the indirect ‘teller’ style of the new manager will most likely be perceived as unfriendly and bossy. Team members will feel less valued, become disenfranchised and frustrated, leading to increased tension, absences or resignations. With proper feedback and coaching, this manager can be more aware of how she is communicating to her team, being conscious of soliciting feedback and discussion before making decisions, and remembering to let others take responsibility when appropriate. Conversely, the team can be made aware of their manager’s natural styles, which will help them to be more understanding and not interpret her reserved demeanor to be anything more than what it is. The highest performing teams are the ones that fit dynamically. Experience the difference with Professional Dynametric Program (PDP) systems. PDP systems make it possible to bring out the best in people at every level of the organization—from the executive team to the line staff. Understanding people will improve your hiring practices,employee retention, help you building great teams and manage effectively. 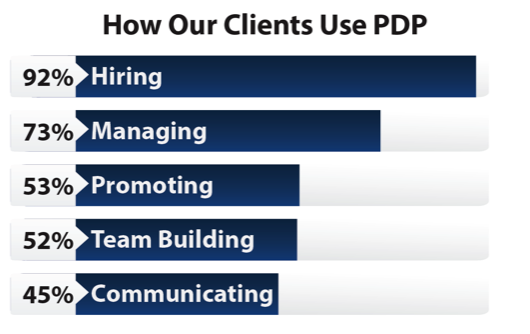 PDP is tested and proven to help your company produce measurable results and a high return on your most valuable resource—your people. You can create a recipe for disaster through a well-intentioned but misplaced hire. Even if you are confident you have the right players, is there a way to determine if they will be able to work together synergistically without you? Creates Job Models by measuring success criteria required for a position. Matches applicants to JobModel. 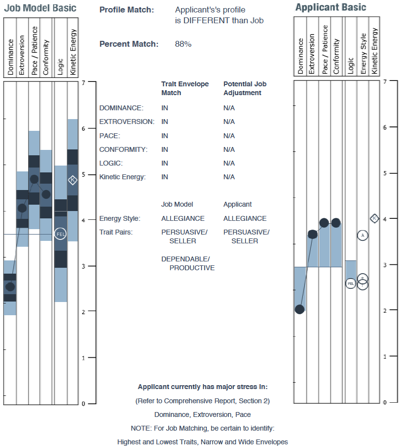 Generates behavioral Interviewing Guide based on applicant’s match to model. Hiring is difficult—organizations struggle to foresee how a potential employee will fare in a particular position. JobScan quantifies the hiring process by identifying critical job success factors. The result is the development of a customized, behavioral JobModel. 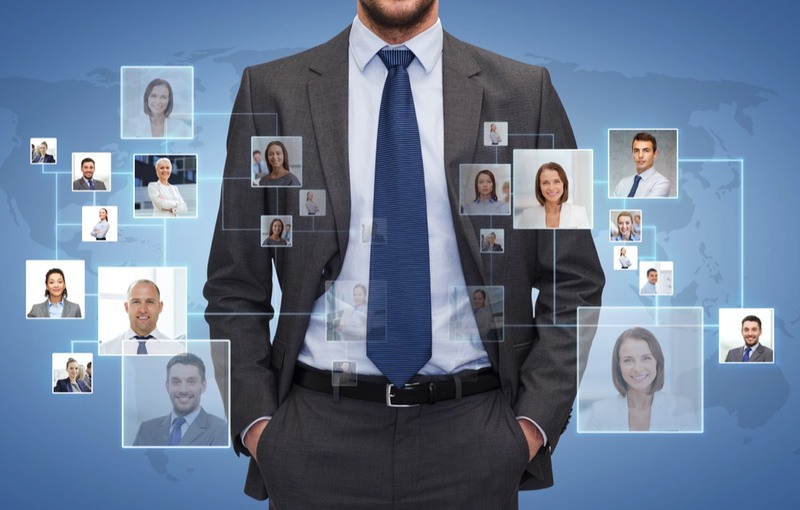 Each JobModel becomes the benchmark for screening and job matching applicant profiles. Whether hiring from outside or promoting internally to fill a job vacancy, JobScan ensures you match people's strengths to job requirements. Improving Interview Techniques: Using JobScan, hiring managers and recruiters can fully understand the qualifications of the ideal candidate for a position. Conduct more objective and productive interviews using JobScan's Behavioral Interviewing Guide. The interviewing guide takes the guesswork out by prompting questions related to specific situations, tasks, actions, and results—giving confirmation of future performance by the potential employee. Reducing Turnover and Dissatisfaction: When employees are matched to jobs that suit them, they are more likely to grow with and remain in the organization. JobScan helps managers match people's work patterns to positions, increasing hiring success and reducing turnover. Systems trait: Has an eye for detail and accuracy, cares about others (altruism) loves to create processes that can be repeated correctly and being helpful. Who will most likely fulfill our expectations? With your executive team, develop a job model that takes the position description and identifies the work styles needed to do the job successfully. The questions will be related to performance expectations related to leadership, problem solving, dealing with conflict, task orientation and interaction with others. 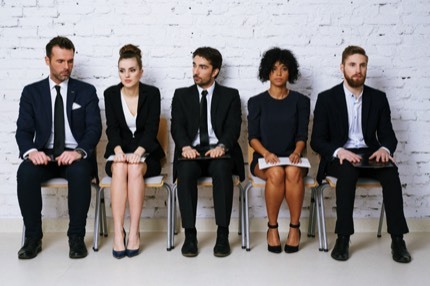 The PDP JobScan® survey will allow each member of your executive team to have individual input in generating a model, which once it is refined and has everyone’s approval, will provide a profile percentage match and interview questions specific to each candidate. This can be a powerful tool that reduces the margin of error with new hires, goes beyond the resume and first impressions. Who will be a good fit for us? 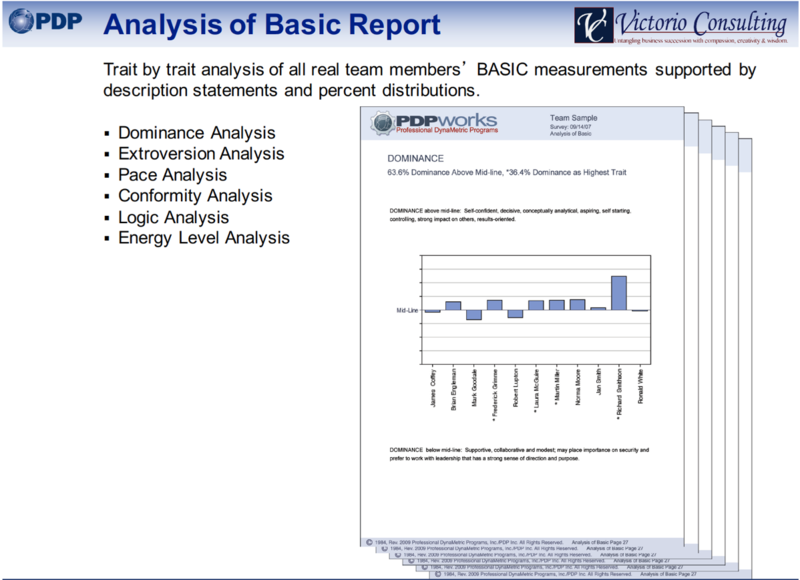 Improve the selection of new hires (that are 80%+ a match to your model) to fit with your existing team (versus blowing it up) by using the PDP TeamScan® tool. This tool will enhance your team’s understanding of each other, how to work with different leadership, communication and work styles, identify where predictable areas of conflict may be so that you can promote better working relationships, improve morale and reduce drama.